The countdown to the first ever Night Nation Run© on the African continent has begun, with less than a month to go until the exuberant event hits GrandWest. According to Elouise Matthys, the PR and Promotions Manager at GrandWest, entries have flooded in as running revelers rallied to take advantage of the early bird ticket price. Limited tickets are available from R250 to R595 per person. Tickets at the full price of R595 per person includes a Night Nation Run© T-shirt, race bib, glow necklace and admission into the Night Nation Run© after party which will feature well known DJs. The event will start at GrandWest’s new Sun Park. 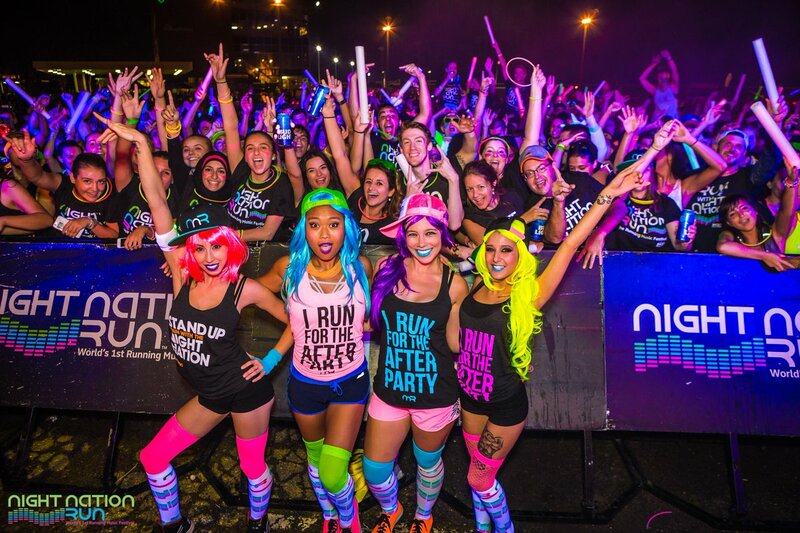 The Night Nation Run©, touted as a ‘musical voyage’, will take participants on a vibrant five kilometre tour of Cape Town’s streets, with live music, multiple stages, lights and laser shows. Suitable for all fitness levels, the race invites participants to run, walk, skip or dance their way along the route to the accompanying sounds of high energy electronic dance music.